Senator Harry Byrd of West Virginia used to inveigh in the Senate when filibustering with a well-known rejoinder-“WRONG! WRONG! WRONG!” (capitalized merely to enunciate his vigor voicing it). Where are you now when we need you, Harry? This horrible piece of legal work made its way to the BVA this year. It was advanced on the docket because the poor widow is undoubtedly past her medical prime. I doubt she’s a mail order fluffer from Russia or the Philippines. The VFW has done a credible job here or the VLJ has. I suspect the latter as you will see. I recently posted a 2010 CAVC case (Jones v. Shinseki) where the appellant was getting the sharp end of the Punji stick. It was remanded based on a lot of things, but one in particular is the new default denial starting to become the latest way to chuck these decisions in the circular file. VA has the “examiner” tear their hair out and say they really tried and tried but couldn’t in good conscience grant SC, because to do so would be speculative. This makes for good theater at the RO, but wears thin at the BVA. If it gets up to the CAVC, the whole house of cards comes tumbling down and the RO has to admit defeat and actually come up with a yea or nay rather than check the box marked “don’t know”. VA examiners do this for a living. Most are not doctors, but that’s why we have IMOs and IMEs . Private Doctors are not so equivocal as to scratch their heads and profess ignorance on how to decide it. Without doing the Mel Gibson Conspiracy shtick, I think something is afoot here and I don’t like it. Ten years ago it was the plaint “It appears that the hepatitis the claimant suffered in Vietnam was Hep. 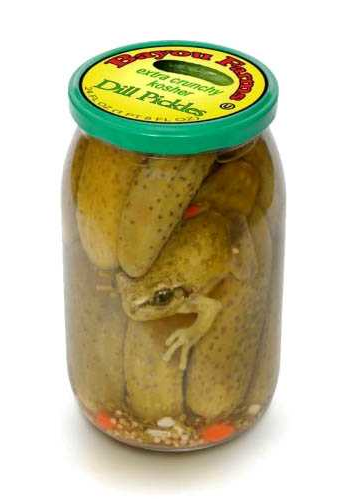 A”. We can now test for that and determine if it was A or B so that window of denial was erased. If you had B, then there is a better than even chance you picked up its little brother C at the same time. VA would dispute it but that is common medical theory for the SEA theater in the 60s and 70s. The appellant raises a new question, however, with which this Court deals today. How should the Court treat a situation in which an examiner’s opinion is unclear or silent as to whether all information that reasonably bears on a medical analysis has been gathered or the reasoning behind the inconclusive opinion is absent? Stated another way, how thoroughly must an examiner develop and describe the information gathered and explain the essential medical reasoning before the Board may rely on his or her representation that an opinion cannot be rendered “without resort to mere speculation”? This phrase must not become a mantra that short circuits the careful consideration to which each claimant’s case is entitled. Jones supra. (emphasis mine). The reader can ascertain where I’m going with this. The BVA VLJ was just as perceptive. The RO is like an inept, bumbling prosecutor who can’t find the right file. Then, when located, enunciates a theory as insane as alien abduction. Here, the examiner tried the old ETOH ploy. Yup. Two beers a day. There you go. A raging alcoholic. It’s a wonder he didn’t die sooner. Hold the phone. The testimony was 1 (one, uno) sixpack a week= 6 beers/week. Now it’s 1-2 per day for an aggregate total of 14/week? In VAland a “pack” of beer is subjective. The terms “rack” or “case” apparently are not in their vernacular. The appellant disputes the RO’s suggestion that the Veteran was at risk for developing hepatocellular carcinoma due to cirrhosis from alcohol consumption (one pack of beer weekly, one or two beers daily). She points out that, although cirrhosis is a factor leading to such cancer, it is a consequence of chronic hepatitis C and might not develop into liver cancer. The appellant believes that it is just as likely that the inservice hepatitis led to the Veteran’s cancer. Four medical professionals have discussed the cause of the Veteran’s death and/or possible relationship between the Veteran’s liver cancer and in-service hepatitis. 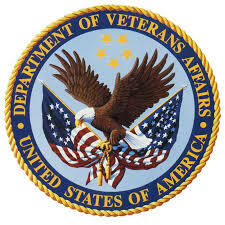 In August 2007, a VA examiner/non-physician, reviewed the claims file and concluded that she could not resolve the issue of whether the two were related without resort to mere speculation. She based this conclusion on the following findings: (1) it is too difficult to determine whether the Veteran’s in-service hepatitis was of C type; (2) although there was no test for hepatitis C when the Veteran was serving on active duty and no medical professional noted hepatitis A or B during that time, the symptoms the Veteran exhibited during service were more typical of infectious hepatitis A or B; (3) liver enzymes were normal prior to 2007; (4) the Veteran had no risk factors for hepatitis C virus and therefore was not tested prior to his cancer diagnosis; (5) the Veteran had cirrhosis on a computer tomography scan in February 2007 and revealed drinking a pack of beer weekly; and (6) cirrhosis often develops with chronic hepatitis C infection and is a major risk factor for developing hepatocellular carcinoma. This is where the poor examiner at the Huntington VARO is forced to swallow her pride and spout the VA party line. Were she to tell the truth and say it was undoubtedly something to do with that Purple Heart and combat wounds, she would have been looking for new employment outside government. The reader will notice that even though this examiner professes to be well-versed in this process, there is no mention of testing in 07 to determine if he was positive for HAV or HBV antibodies? This is so elementary a test, they just do it automatically when they run the HCV PCR test. Somebody is not being completely forthcoming with all her medical abilities to opine. 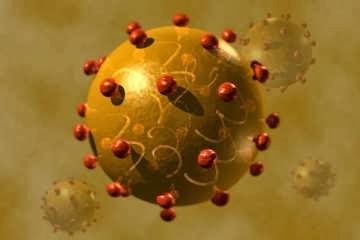 In May 2007, Ramesh K. Shah, M.D., submitted a prescription indicating that the Veteran had been diagnosed with hepatocellular carcinoma in February 2007 and had underlying hepatitis C. He opined that the liver cancer was probably due to the underlying hepatitis C.
In March 2010, a VA examiner/physician, concluded that he could not resolve the issue of whether the Veteran’s in-service hepatitis contributed to the cause of his death without resort to mere speculation. He based this conclusion on the following findings: (1) it would be sheer speculation to label the Veteran’s in-service hepatitis as type C in the absence of test results showing such type (not then available) and with documentation of non-specific symptoms and liver enzymes; (2) the Veteran did not have classic risk factors for hepatitis C; (3) from 2000 to 2006, the Veteran had normal liver enzymes and there was no episodic pattern of aminotransferase elevation; (4) there were various causes that contributed to the Veteran’s terminal phase, including other types of carcinoma, with a possibility of a metastatic cancer to the liver with a primary site of the intestines or lungs (hepatocellular carcinoma favored, but not definitively established, as primary site); and (5) the Veteran had cirrhosis, which is also a risk factor for developing hepatocellular carcinoma, and a history of alcohol consumption, which can cause cirrhosis. The examiner explained that he could not conclude with certainty, and could not discard fully as a probability that the Veteran’s initial episode of non-specific hepatitis in service was hepatitis C and that the Veteran was a chronic carrier for almost four decades before developing hepatocellular carcinoma, which led to his death. Well, there you go. No classic symptoms of HCV. What, pray tell, might those be? As near as I can tell, everyone presents in a different manner. There is no “classic” textbook demeanor one can cite to. Apparently this doctor is aware of one and our room temperature candidate failed the test. What happened to Groves v. Peake (2008)? At this point, our esteemed VLJ got tired of all these West Virginian bozos and opted for his own medical whizbang. Smart move. In October 2010, upon the Board’s request, a private gastroenterologist reviewed the Veteran’s claims file and concluded that, although he could not state definitively that the Veteran had acute hepatitis C in service, that was the most likely clinical scenario. He also concluded that the hepatitis C contributed to the Veteran’s chronic liver disease and death. He based these conclusions on the following findings: (1) risk factors for hepatitis C infection include intravenous drug use, blood transfusions, high-risk sexual activities and body art/tattoos; (2) Vietnam veterans are at a significantly higher risk of such infection than the average population; (3) hepatitis A and B were unlikely based on serologic evidence; (4) hepatitis C is one of the most common causes of liver disease; (5) acute hepatitis C infections are most often asymptomatic, but account for approximately 20 percent of acute hepatitis cases in America; (6) over 80 percent of individuals exposed to hepatitis C progress to chronic disease, one third of which have normal liver tests; (7) one study with 10 to 20 years of follow-up with individuals with chronic hepatitis show progression to cirrhosis in 50 percent of the cases (other studies show lower rates); (8) hepatitis C accounts for one-third of all cases of hepatocellular carcinoma in America and this type of carcinoma always occurs in the setting of cirrhosis; (9) progression from initial infection of hepatitis C to cirrhosis to hepatocellular carcinoma takes 20 to 30 years; and (9) tests for detection of hepatitis C were not available until the early 1990s. In this case, the Board assigns the VA examiners’ opinions the least evidentiary weight. The two opinions are inconclusive, in some respects conflict with medical literature the appellant submitted in support of this appeal and do not respond to the appellant’s well-reasoned assertions. To the contrary, the private gastroenterologist’s opinion which favors the claim is based on a review of the claims file, including the medical literature the appellant submitted, supported by rationale and phrased in a manner that allows the Board to understand the probability of a relationship between the Veteran’s active service and death. Much ado about nothing as they say. The folks in Huntington just don’t get out much and are medically challenged. We should pass the hat and buy them a newer edition of Cecil, Book of Medicine or a new Dorland’s illustrated. Perhaps they need to attend more of those Hawaiian Tutorial Task Force get-togethers for some up to date instructionals on HCV. 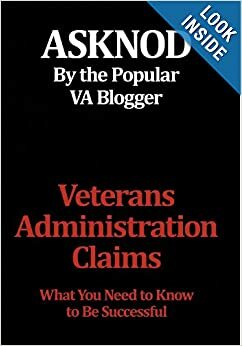 This entry was posted in BvA HCV decisions, HCV Risks (documented), VA Medical Mysteries Explained and tagged ASKNOD BOOK, asknod.org, asknod@wordpress.com, CAvC HCV decision, CAvC/COvA Decisions, Disabled Veteran, DIY vA Claims, HCV, HCV Decisions, HCV Health Tips, HCV Veterans, HCVETS, Help with vA Claims, Help with vA HCV Claims., Helping Veterans, Korean War Vets Help, Service Connection, VA claims, VA HCV Claims Help, Veterans Benefits, Veterans claims help, Vietnam Veterans Claims Help.. Bookmark the permalink. 1 Response to BVA– SP-SP-SPECULATIVE, YOUR HONOR!